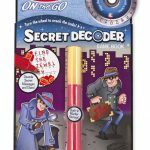 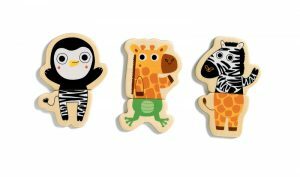 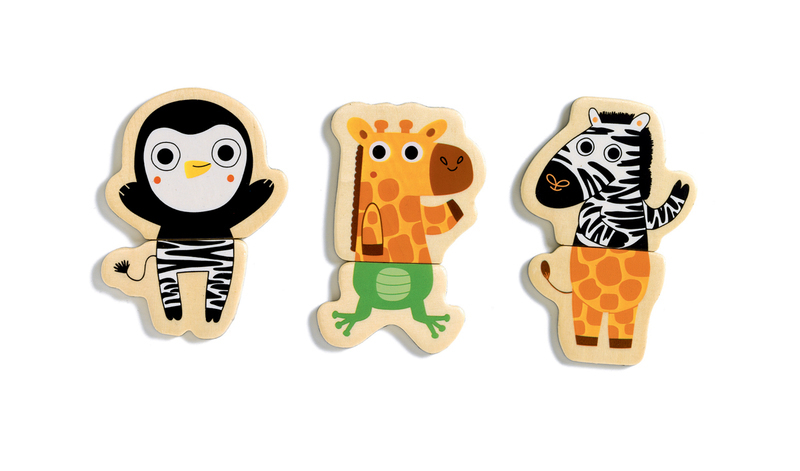 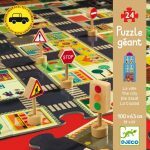 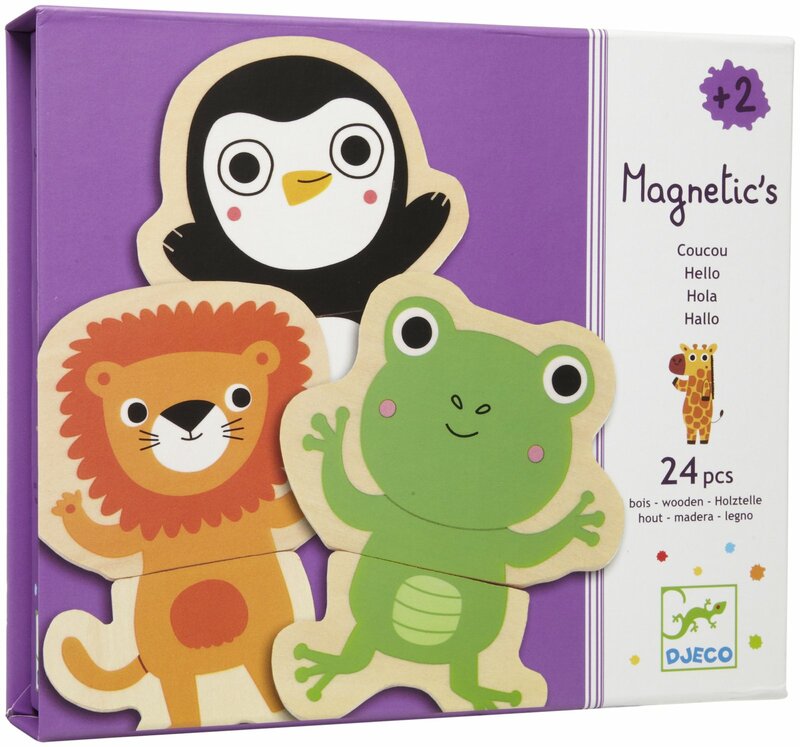 These awesome Jungle Magnets from Djeco provide hours of funny mix and match characters. 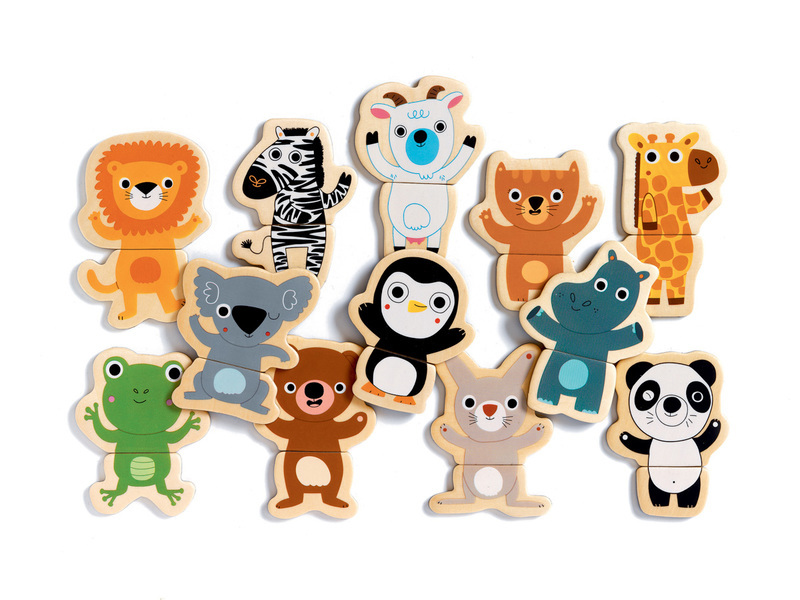 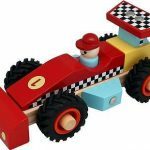 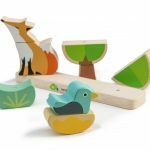 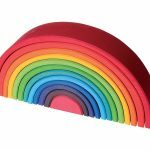 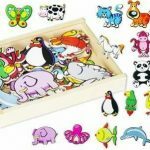 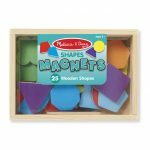 Each jungle magnet is an animal character made up of 2 wooden pieces; a top and bottom that can be mixed or matched and a magnet that covers the complete back. 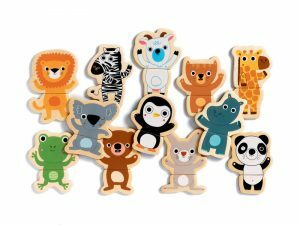 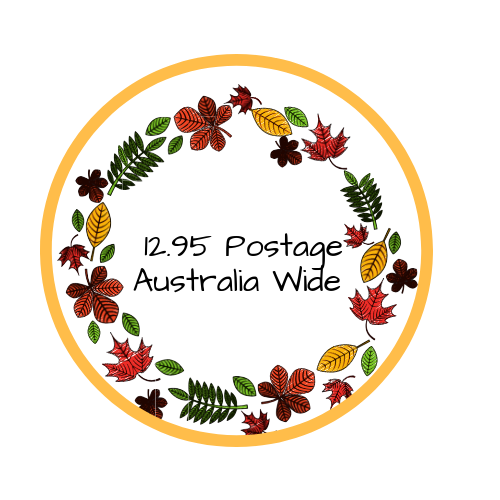 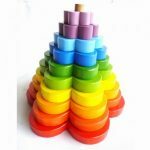 The set has 12 different jungle magnet characters (so 24 pieces in the set) stored in a durable colourful glossy box perfect for storage and gift giving!